We know how important glasses are to your sense of identity. If you wear them, they are an expression of your personal style, which is your way of telling the world who you are. We have an experienced optical staff here who can help you select the ideal frames for your face, without sacrificing the style statement you want to make. 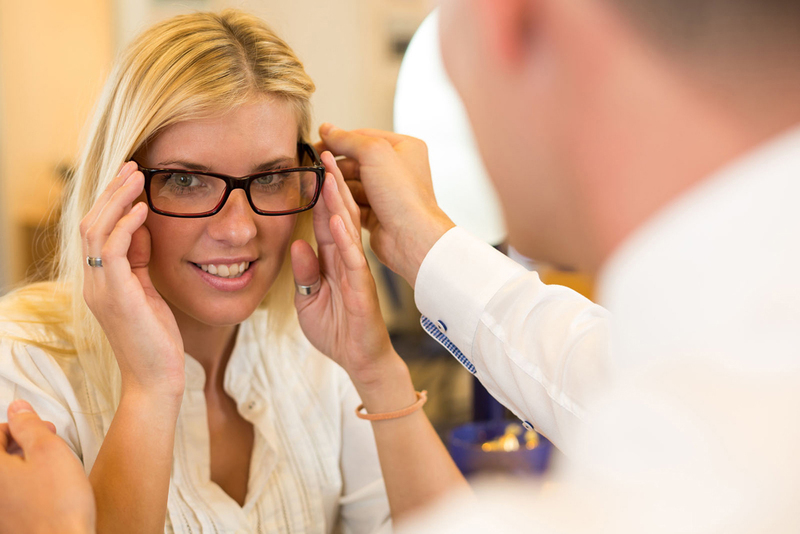 Additionally, the team at your optometrist in Maple Ridge will guide you in selecting the most stylish frames that fit both your budget and your design preferences. The shape of your face is important in choosing glasses that will look excellent on you because your glasses and face shape need to complement each other. When they do, your new glasses will look like they were made for your face by a custom designer. This is a basic guide to face shapes and glasses. Square Faces--With a square face, the length and width are basically equal. Frames that are slightly curved, such as ovals, and have more horizontal than vertical space, will make the face look longer, and soften sharp angles. Oval Faces--An oval face is balanced in proportions, usually with a slightly wider forehead than the chin, and with high cheekbones. Glasses should be wide, ideally wider than the broadest part of the face, and should trace your brow line. Diamond and rectangle frames complement oval faces beautifully. Round Faces--A round face has the same width and length, and so adding length works well for them. Choosing frames that are narrow and angular, as well as wide, works best on round faces. Heart Faces--The heart face looks like an upside down triangle. It has a wide forehead with a face that narrows to a pointy chin. Glasses that counterbalance the chin are best, usually with frames that are wider at the bottom than at the top. Also, rimless or lightly colored frames are good for heart faces. Diamond Faces--These faces have dramatically high cheekbones and narrow eyes and jaws. It is the rarest of the face shapes. Use oval frames with soft colors to give highlights to the cheekbones and eyes, to make them look wider and more open. Base-down Triangle Faces--This face shape has a narrow forehead with a wide chin. The broad chin must be offset, so choose frames with heavy colors and/or details on the top rims. Frames that are wider at the top than bottom are also good choices. Many people with this face shape choose cat-eye frames to give width to the narrow upper part of the face.